A brow lift, or forehead lift, raises your eyebrows and reduces ridges and furrows on the brow. Many men and women throughout Florida develop wrinkled, creased skin on their forehead because of age or excessive sun exposure. With a brow lift at PREMIERE Center for Cosmetic Surgery in Miami and Tampa Bay, the forehead muscles are weakened and the muscle between the eyebrows is removed. This decreases the need for Botox injections in the future. 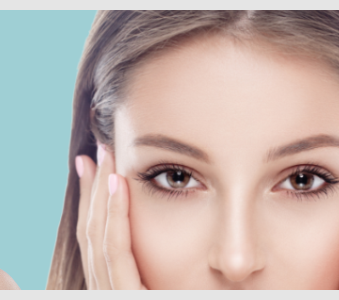 A brow lift takes about 1 to 1½ hours. At the start of the surgery, an incision will be made across the top of your head, from the front of one ear to the front of the other ear. The forehead and brows are elevated and excess skin is removed. The flap is then sutured. Our patients sometimes combine their brow lift with another operation, most notably a facelift or eyelid lift. It will be up to you and your surgeon to determine whether your forehead lift should be performed alone or with another procedure. Most forehead lift patients are between the ages of 40 and 70 years old. They are usually looking to correct sagging brows, deep creases on the forehead or furrows between the brows and top of the nose. However, the surgery can be performed on younger adults who are unhappy with the appearance of their forehead and brows. Typically, to be an ideal patient for a brow lift you should have good skin tone and elasticity. This will garner the best results. When your forehead lift is complete, you will likely experience some swelling and bruising. Ice compresses and eye exercises may be recommended as a way to reduce puffiness and regain mobility. You will also be scheduled for a series of follow-up visits at our facility in either Miami or Tampa Bay to check on your progress. We pride ourselves on being open about all aspects of the procedure and PREMIERE Center offers a variety of financing options to help you pay for your surgery. Because the extent of brow lift surgery varies from patient to patient, you can expect the cost to differ depending on the individual. To learn more about forehead lifts, pricing and financing options please take a moment to contact PREMIERE Center to schedule your free consultation today. Since the surgeons at Premiere Center for Cosmetic Surgery use techniques that relax the underlying forehead muscles, our brow lift patients never have a “pulled” or surprised appearance. The wrinkles will be softened if not completely eliminated, and you will still look like yourself after the procedure. A brow lift will prevent a chronically tired, sad, or angry appearance. Without excess wrinkles and sagging forehead skin, others will no longer misread your true emotions. A brow lift can take years off of your appearance as it tightens the skin and facial muscles and balances the forehead with all the other facial features. Friends and family will notice you look much younger, but they may not be able to determine what you’ve done. With genuine facial expressions and a youthful glow, brow lift surgery will help you exude confidence. You will no longer feel like you need to avoid certain facial expressions that emphasize your wrinkles and fine lines. Those who have significant sagging in the upper eyelids as well as forehead wrinkles will experience the best results with a combination of eyelid lift surgery and brow lift surgery. The surgeons at Premiere Center for Cosmetic Surgery will help you decide on the best procedure(s) for you depending on your physical anatomy and the results you desire. The forehead area may be swollen and bruised after surgery, which is temporary and can be minimized with cold compresses. Most patients take two weeks off from work but feel well enough to resume regular activity after a few days. You will be scheduled for a series of follow-up visits at our facility in either Miami or Tampa Bay to check on your progress. How much pain can I expect with a brow lift? There will be no pain during surgery since general anesthesia is used. After surgery, patients experience some discomfort that can be managed with prescribed pain medication and cold compresses. Premiere Center for Cosmetic Surgery offers a variety of financing options to help you pay for your surgery. Because the extent of brow lift surgery varies from patient to patient, you can expect the cost to differ depending on the individual. There will be a scar from the front of one ear that extends to the top of the head, across the top of the forehead, and down to the front of the opposite ear. The scar will fade significantly with time and is hidden within the hairline.